THE NEW NATIONAL survey on the prevalence of sexual abuse and violence in Ireland will also examine sexual harassment in the workplace, the Children’s Minister Katherine Zappone has revealed. The report will be the second such survey to be done in Ireland, 16 years after the last one – the SAVI report – was published. This was the first national survey to assess sexual abuse and violence in Ireland. Writing this morning for TheJournal.ie, the minister said that a “comprehensive examination” will take place of the data available in respect of sexual harassment in the workplace. “This examination is recognition of our belief in and support for all of those who have suffered sexual harassment, many of them silently, in the workplace,” Zappone wrote. 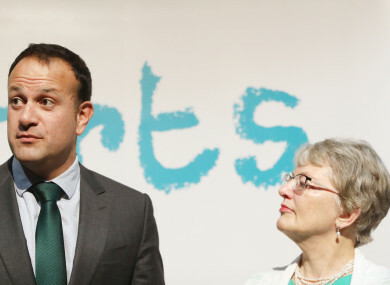 This announcement follows requests from Taoiseach Leo Varadkar in October, where he asked ministers to examine if Irish statistics on sexual violence are adequate or if new research needs to be carried out. The government came under pressure as it was criticised for not committing to fund a €1 million study to follow up and update the SAVI report on sexual violence. The report detailed the prevalence of sexual violence in relation to age and gender of over 3,000 adults. It focused not only on the responses of those abused but also on the attitudes and perceptions of the general public to sexual violence. Justice Minister Charlie Flanagan, Minister for Children Katherine Zappone and Health Minister Simon Harris were asked by Varadkar to consider whether the current statistics were adequate. During a round of Leaders’ Question in October, Sinn Féin’s Mary Lou McDonald hit out at the Taoiseach for failing to commit to carrying out a new report. “We need them to be properly funded,” she said. That week, Foreign Affairs Minister Simon Coveney said the government will provide €1 million to commission the new report “if it is the right thing to do”. It has yet to be confirmed how much money will be funded into the newly announced reported. Rounding off her op-ed on TheJournal.ie, Zappone said: “We all bear a responsibility. government, advocacy groups, employers, schools, State agencies, and individuals – young and old, need to work together to make our country a better and safer place to live and work. Email “New national survey to examine sexual harassment in workplace”. Feedback on “New national survey to examine sexual harassment in workplace”.